Synopsis This is the story of New Zealand's greatest lawn bowler, Phil Skoglund. Possessed of an impeccable bowling pedigree, Skoglund won seven national titles, the first at the almost unheard of age (for a bowler) of 21, and in the process his name became a household word. He is also New Zealand's most capped bowls international, having been selected on nine occasions to play for his country, a notable achievement in a sport which often puts teams into the fray only every four years. In recent years Phil Skoglund has involved himself wholeheartedly and successfully in the game's administration and as a national selector. 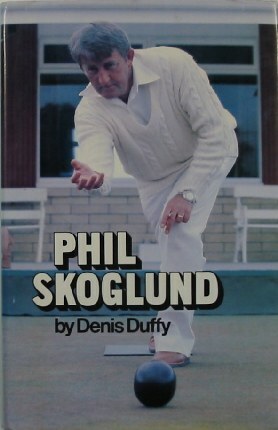 Amazingly, this is the first major New Zealand book about bowls since Phil's uncle T T 'Pete' Skoglund produced 'Mr Bowls' - The Pete Skoglund Story more than 15 years ago. No bowler is better qualified to write of the game, its strengths and failings, its personalities, its administration and to offer coaching advice than Phil Skoglund. This is a lavishly illustrated, major work on a unique sportsman and a must for all bowling buffs.